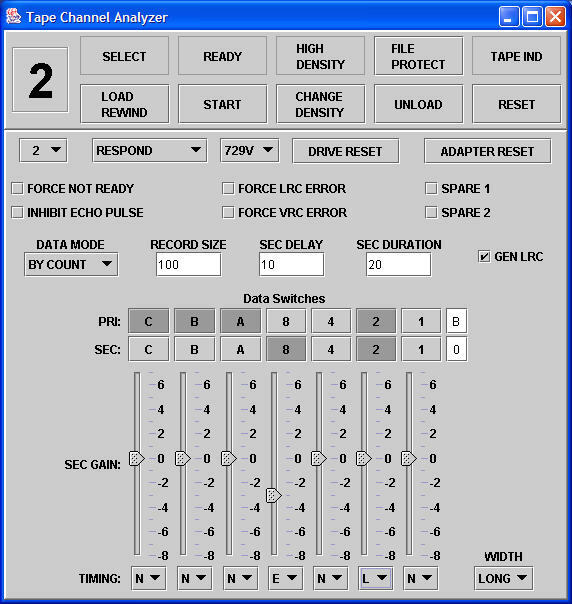 The Tape Emulator is a hardware test and emulation instrument that was developed to bring up the tape system on the 1401. It hooks up to the 1401 CPU tape channel, and emulates the behavior of up to six 729 Magnetic Tape Units, responding to all controller operations as if they it had real tapes attached. In addition, it allows monitoring and diagnosis of the tape channel interface. Our bring-up of the 1401 TAU is making good progress. We now have the three main TAU timers working, Read Timer, Write Timer, and Delay Timer. My proposed plan for step by step TAU bring-up is presented below. Note that the TAU CE panel seems to be able to isolate the TAU from the CPU and permit the TAU bring-up to proceed quite far before the CPU/TAU interface variable needs to be introduced. This is a very good thing because the Overlap Feature participates in this interface. Staring at step 2, we need to observe and stimulate the 1401's tape drive interface. The complexity of observation and stimulation increases in each step thereafter. Currently, no tape drives are ready to attach to the interface. Even if there was a tape drive that was ready, the ability to observe and stimulate the interface using a standard tape drive is poor. Reasons a real tape drive is a poor choice for early TAU bring-up. You can't directly observe the interface. You can only observe how the tape drive reacts to the interface. This causes a problem if the tape drive does not react in the expected manner or if the TAU operations do nor cause uniquely identifiable reactions. The ability to stimulate the interface is limited to the personality of the tape drive. 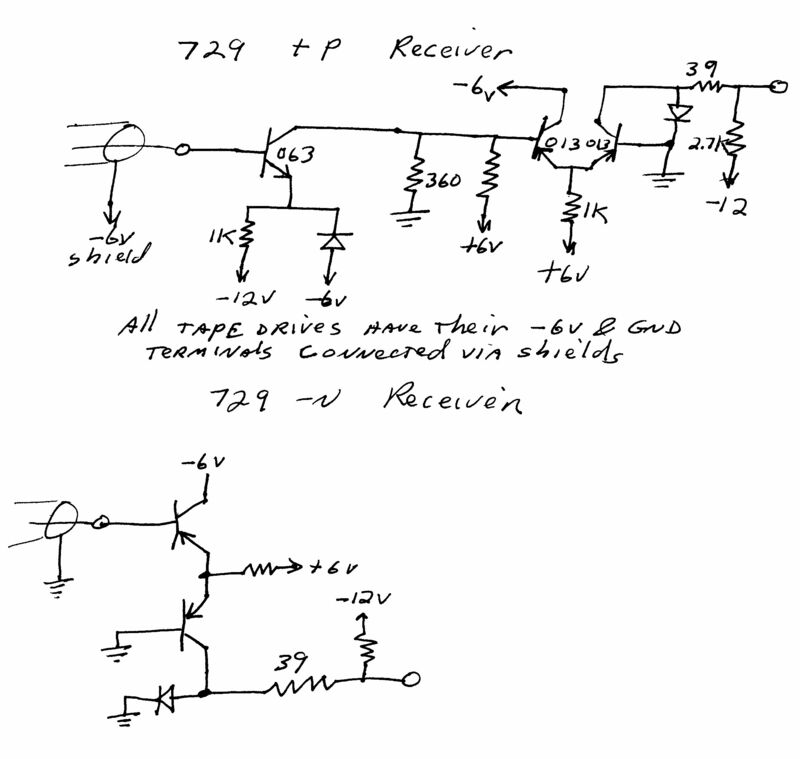 Example: It would be difficult to make a 729V respond like a 729II or to respond with specific operation failures. 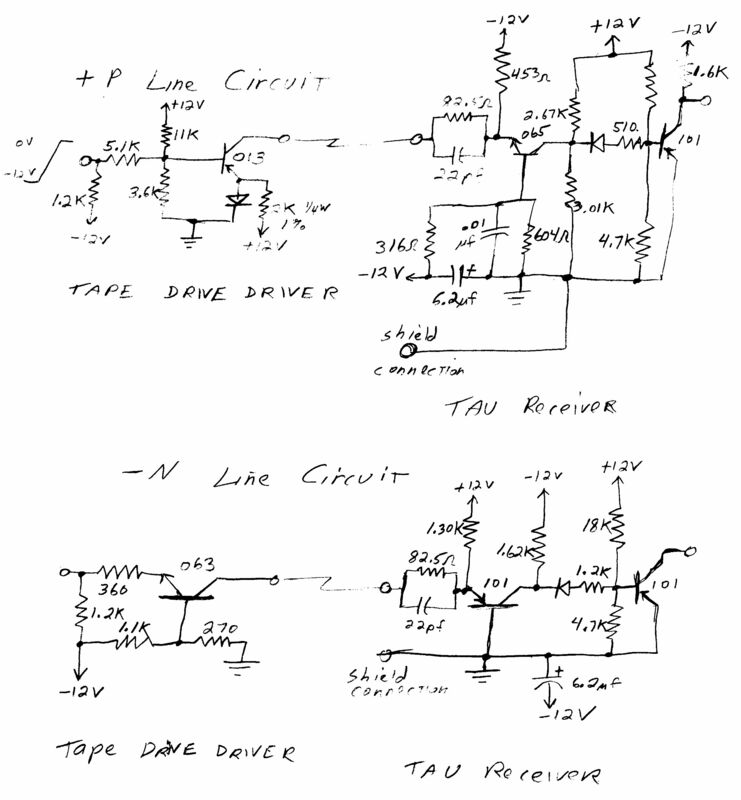 If I am debugging a block of TAU logic, I would prefer to test the block with responses from each model tape drive, rather than bring-up the whole TAU with a 729V and then verify the entire TAU again with the other model drives. You can't separately debug the read operation and the write operation. If you write data to a tape and then receive garbage when you read the data. You have no way of knowing whether the write operation or the read operation failed. Having to debug both read and write operations simultaneously would significantly complicate bring-up. Solution 1 - Build a Lights and Switches Box. Ok, the lights would give us static observability, but several problems need to be solved. A logic board would be needed in the box to translate voltage levels and generate consistent responses. For example: The TAU Select signal is used to tell the box to simultaneously present the box's state. The state (e.g. Ready/NotReady, Read/Write, Hi/Lo Density, Tape Drive Model, etc.) could be held in switches, but presentation of the state requires logic and voltage level translation. The logic board also needs to wrap Write Data onto the Read Bus. 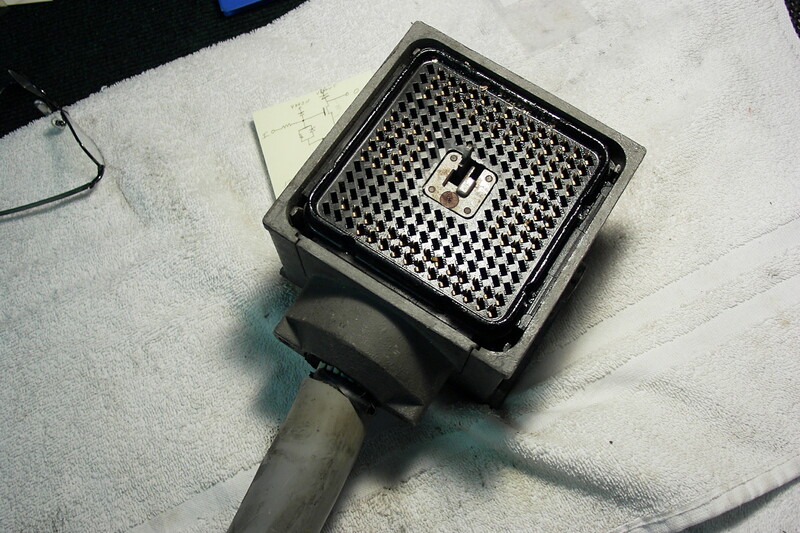 Not only must voltage level translation occur, but the box must convert the Write Data to NRZI. Unless we add substantial complexity to the logic board, the box would only be able to generate a fixed bit pattern of Read Data. It would not be able to generate or check LRC characters. Note that it would be beyond the capability of A "Lights and Switches" box capture and display block of Write Data, or to present a block of Read Data. Solution 2 - Build a 1401 Tape Channel to PC interface. Solutions to problems beyond #2 above would be easier done using a programmable microcontroller (PIC if you like). The initial implementation could be done to implement "Lights and Switches" functionality up to and including #2 above. Then it could be extended incrementally through #5 as needed. Since we still have not solved the problem of bridging the 1401 Software Development Environment to the 1401 hardware, a "Step 6" could be added to move tape data between the TAU and the PC in a way that fully emulates a tape drive accessing a tape. To proceed with TAU bring-up we must either start building a "Lights and Switches Box" or a "Basic 1401 Tape Channel to PC Interface" within the next week. I think that it makes a lot more sense to go with Solution 2, the 1401 Tape Channel to PC interface. Does anyone object with proceeding with initial implementation of the 1401 Tape Channel to PC interface? Now that I have assisted Bob with the TAU debug and assisted Allen with the 729 clutch problems, I think building a uP/PC based emulator is a very good idea. With Allen gone for another three weeks, not much is going to happen on the clutch problems (unless somebody else wants to advise me on the internals of the clutch) or can get a 729 operating. Bob's previously sketched out emulator design seems to have enough speed to at least emulate a lower speed 200 bpi drive. 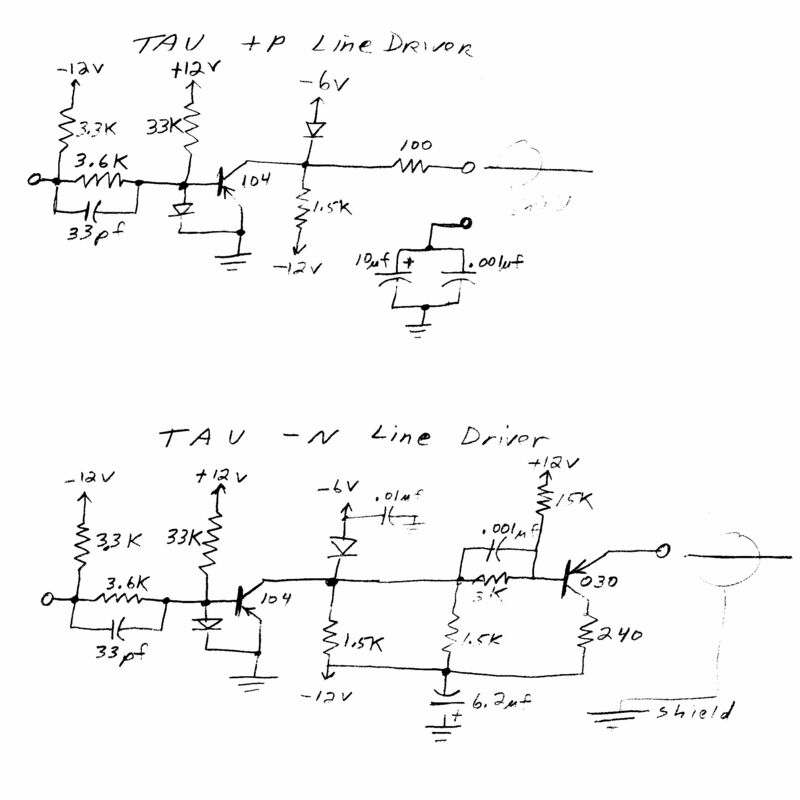 I've also studied the TAU analog circuits, and thought about simulating the drive read signals. The capability will also help us debug/test the TAU analog signal paths. I'm signed up to help build Solution 2. I also think a scavenger hunt for a 1401 cable/shoe needs to be done in both 1401 Shoreline and Moffet storage. I have opened the Emulator's SVN repository for anonymous read access. Updating the repository still requires a valid user ID and password. You can use your browser to look at the data in the repositories. You may have to accept my non-standard SSL certificate to access the site. plug-in. For info on the Subversive plug-in see the bottom of this e-mail. The initial version is tagged "version_1_0". version. There have been a few minor updates to the trunk since its release. A release designator consists of __. change in the interfaces between projects. Third digit (Edition)- used only for bug fix patches on old releases. You can view them using your browser. Subversive plug-in was used to create this project. into the WebContent/WEB-INF/lib/ of the Emulator project when it is changed. not played with them. Using TortoiseSVN is convenient. The Java code is all compiled under Java SE 5. The version of Tomcat used is Tomcat 6.0. I'll assign write access passwords later. Write me if you have questions. See you Thursday. Click on the "Downloads" link. prerequisites" when given the opportunity. 6. After installation, you need to restart Eclipse. 2. Select Svn->Projects from SVN, Next. 3. Fill in the dialog box. 4. Choose the revision to download. Select Checkout as a project with the name specified. The 729 Tape Drive Emulator is operational and stable. We are currently using it to emulate a bank of five 729 drives for our bring-up of the Autocoder (on Tape) software. 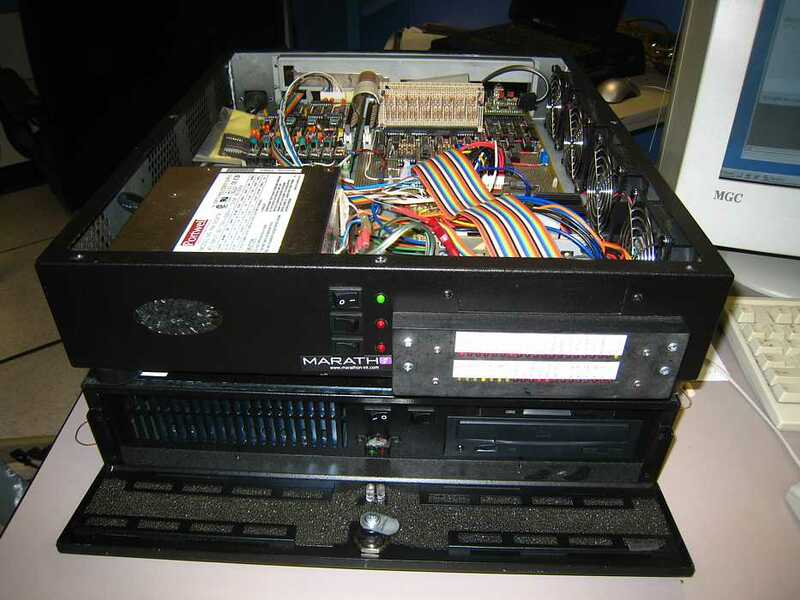 A custom hardware unit that attaches to the 1401 Tape Channel Interface just like a standard tape drive. 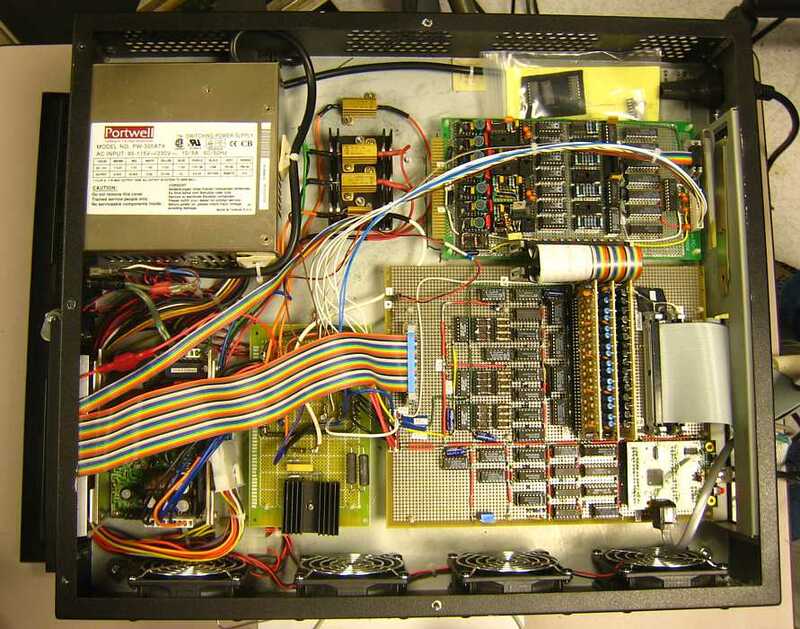 The unit contains 1401 interface electronics, a USB slave port, and a microcontroller. The microcontroller emulates microsecond level tape drive operations and passes tape record data to a PC via the USB port. A PC that is configured to run the Apache Tomcat 6 webserver application and communicate to the hardware unit. The Tomcat provides the runtime environment for the Emulator web application. The Emulator Web Application provides a Graphic User Interface GUI to users via the internet browser on their own PCs. The GUI very closely resembles the operator panel on a real IBM 729 Tape Drive. User mode and kernel drivers interface the webserver application software to the hardware unit. The user mode driver provides the interface into the webserver�s Java Virtual Machine. The kernel driver communicates with the hardware unit and performs millisecond level emulation of tape drive actions. It�s capable of simultaneously emulating up to six 729 tape drives. The virtual magnetic tapes are stored as files on the webserver or uploaded/downloaded to network attached user PCs. Tape images are stored in ASCII format (transparent conversions occur between ASCII and 1401 BCD) to permit easy user viewing and editing. The Emulator supports a library of tape images that is maintained on the webserver. Currently the library contains a few utilities (Card-to-Printer, Tape-Copy, etc.) and a standard application (Autocder assembler). User tape images are uploaded from the user�s PC at the beginning of a session and written tape images are downloaded at the end of the session. No user tape data is stored on the webserver. The Emulator is also a powerful debug tool for the 1401 tape interface subsystem. It monitors and validates control signals on the tape channel interface. 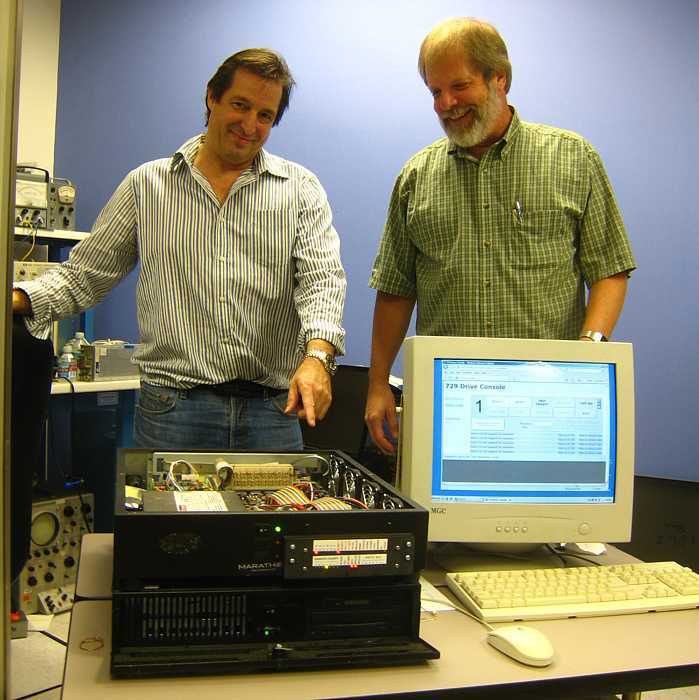 It has a diagnostic record generator capable of generating various size records containing various data patterns. It can emulate the behavior of 729 model II, IV, and V drives. It can emulate tape data transfers at 200, 556, and 800 CPI. It can also force many interface error conditions. 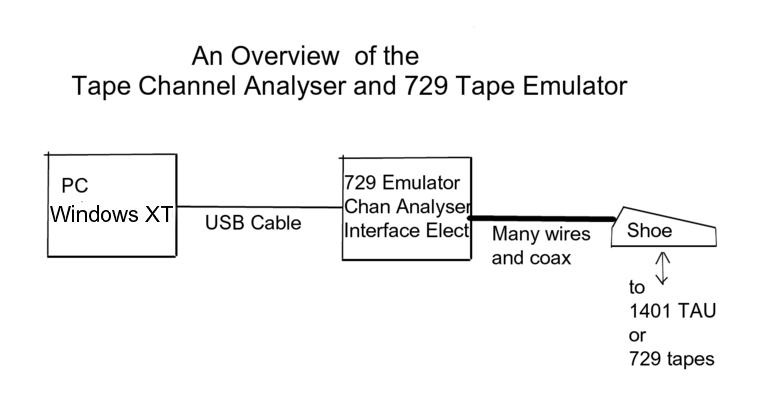 These features were important in our bring-up of the Tape Adapter Units of both the German and Connecticut 1401s. The analog section of the emulator provides simulated read signals from the 729 drives as the TAU performs all of the tape analog signal processing in the 1401 system. The analog section enables simulation of virtually all possible tape read signals and can be used to verify correct operation of the TAU clock recovery and signal checking features. Thus, the Analyzer can also be used in situ as a sophisticated card tester for the analog cards which would be difficult to test by other means. 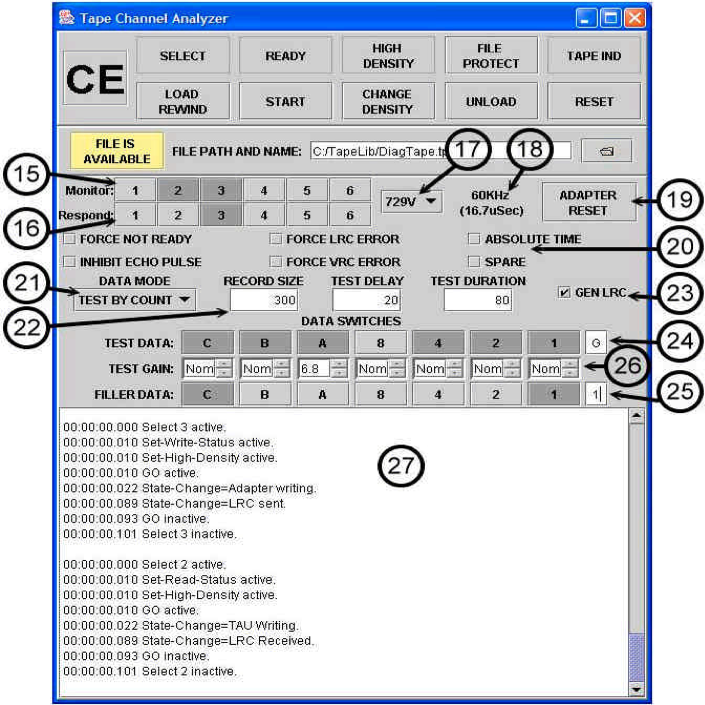 However, this capability is not included in the current TAU Analyzer code. We expect that the Emulator will be an important tool for future educational classes that may be taught using the 1401. 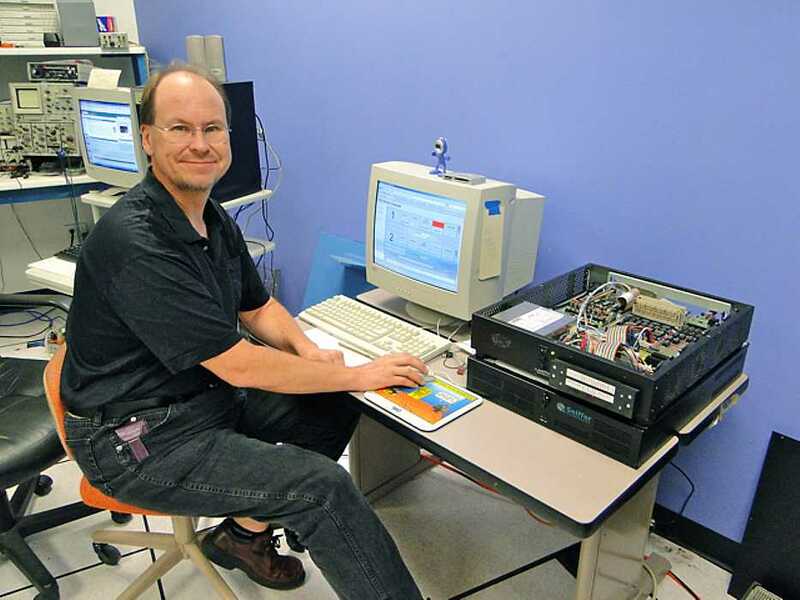 Programs that are developed using the PC based 1401 cross-development environment (ROPE) may be loaded and executed directly from the students� notebook computers. The Emulator project is now in maintenance mode. No new features are planned. As use of the Emulator increases, bug reports are expected. Reported bugs are being fixed. but I'd be glad to have comments on any part of the doc. 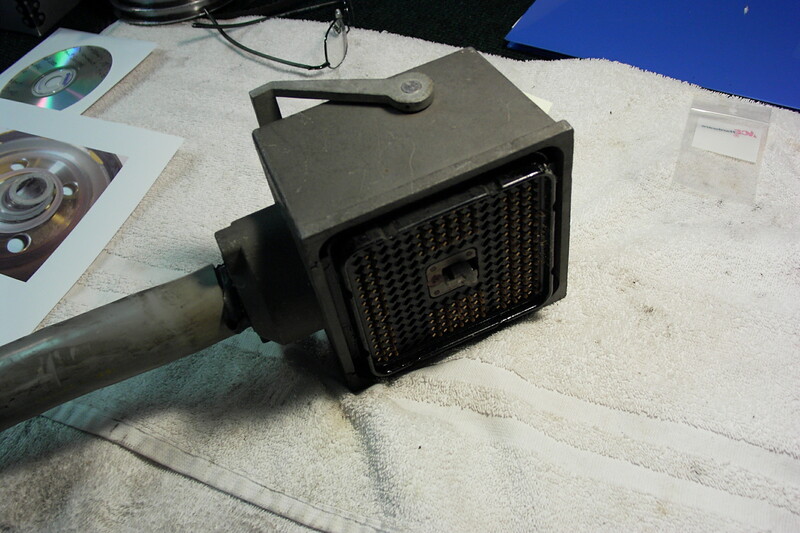 restoration effort, even if it wasn't part of the original machine. My comments on your draft are in the document using a green font. Overall it looks very good. signals results in everything being hung. There is no indication if it was the CPU, TAU, or 729 that failed. of the 729/TAU interface signals as well as a discussion of the "Rewind"
and "Rewind & Unload" operations. on TAU operation. I troubleshot a problem in this logic before. and pages of TAU and 729 ALDS to identify the entire feedback circuit. where I am not sure that I got the Emulator implementation correct. exercise recovery logic in the TAU. 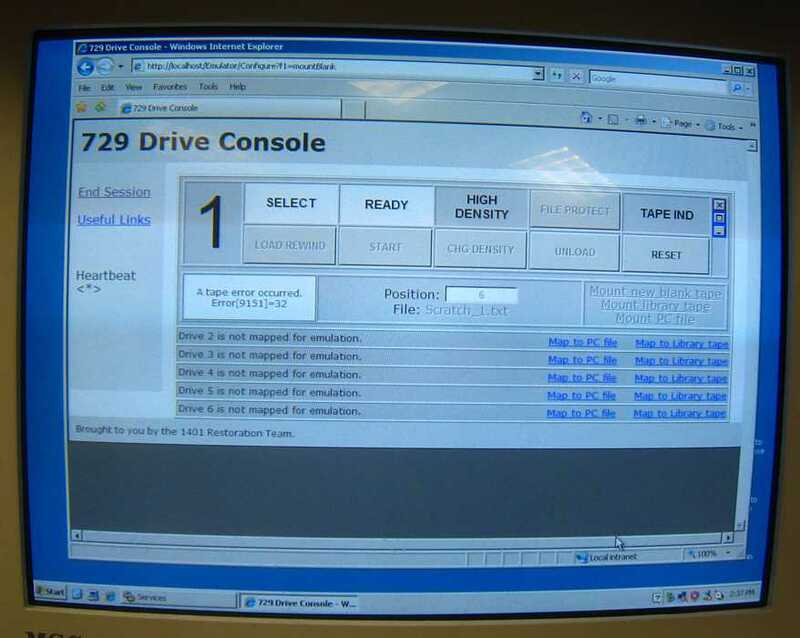 It is able to emulate one drive up to an entire bank of  tape drives. It can also mimic the timings of any type of 729 drive. Now I am struggling with the USB driver install. I found the generic.sys, tapeusb.sys and tapeusb.inf in one folder. (stays forever trying to install it). but that did not work either)? I have not tried force installing yet. which I found in a different folder? What are the characteristics of the new machine? Are the drivers in the same folders where they were originally installed? location to the final install location. the first thing I check. the backlog of work that came up. Sorry that there was a delay. should run the emulator easily. The machine seems to be compatible. The .inf file installs tapeusb.sys and generic.sys. It expects the .sys files are in the same folder as the .inf file. The Emulator must be powered on and attached to a usb port. (the PnP ID of  VID_0403&PID_6001 is expected). and identifying tapeusb.sys as a service..
because the registry entries were not created. It might also be easier if you could stop by for a few hours. and piecing them together bit by bit. and that we had lost the install files. and an important 1401 engineering project to boot. and make a little install blurb for people to follow. setup to recompile with Eclipse, and document that process. and it has records larger than this. 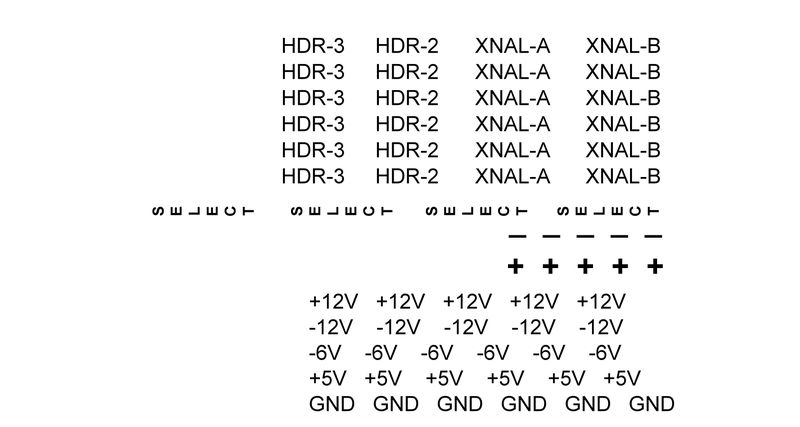 Is this part of the memory limitation in the hardware emulator? Anything we could do to run around it? BTW, do we have the design files for the hardware also? Schematics? I am trying to gather all the design pieces in one place. The microcontroller that I used only has 3700 bytes of RAM. 3072 bytes are available as a tape record buffer. that cut the record into smaller pieces. 1401 arrived), but it didn't work. because we were making progress running the Autocoder on Tape compiler. during the compilation. Sometimes during the early phases. the compiler for more than 30 minutes before a failure. intermittent errors to expect it to run such a long complex program. and no one wanted to begin a "margining project", the whole idea was abandoned. to run such a program. Perhaps the Connecticut 1401 is more stable. not just a simple loop that gets executed many times. If so, I suggest starting with the Autocoder Compiler or maybe Sort7. on 1401s with less memory. Scan the object tapes for long records first, though. Also, making another attempt to get Van's "split record"
Fortran compiler tape to work may be worthwhile. The problem with it may have been a simple bug. Yes, I have all the design files and can pass them to you. There was nothing wrong with the .inf and location of the driver files. into C:\IBM1401\Libraries that the web.xml file was pointing to. as it was working before. If we could get the documentation for the hardware that would be awesome. Info - .sch files are generated, and can be opened, by a free, really neat PCB schematic program.